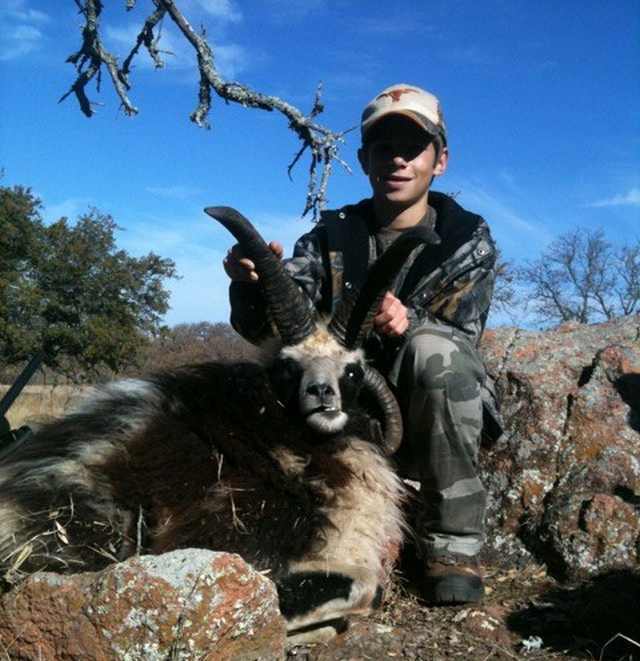 A Four Horn Ram Hunt in Mason, Texas at The Wildlife Ranch. These sheep are usually brown or white with a lot of wool. There can, however, be other colors including spotted. The rams have four distinct horns. Two horns grow up from the head and two horns grow down beside the jaw. A large male can weigh 120 pounds. They are also known as Jacob's sheep named after Jacob in the Bible. These sheep look very strange with four horns growing out of the head. They can make a very unique addition to any trophy collection.